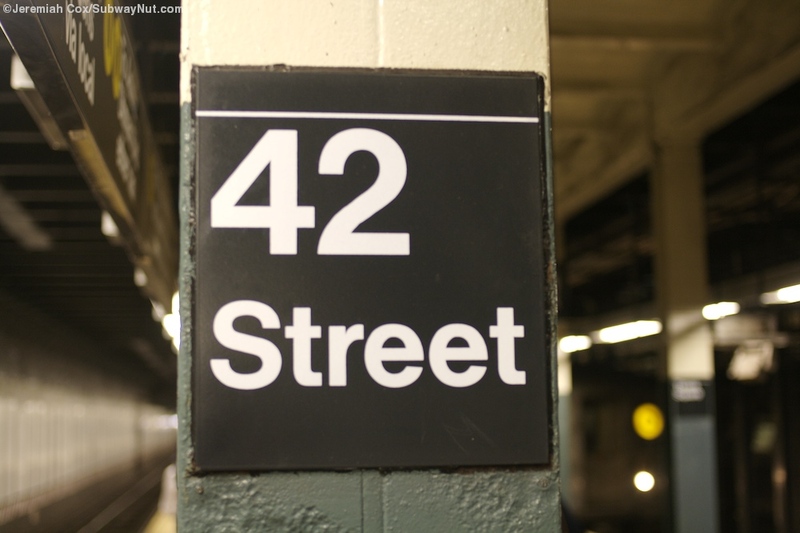 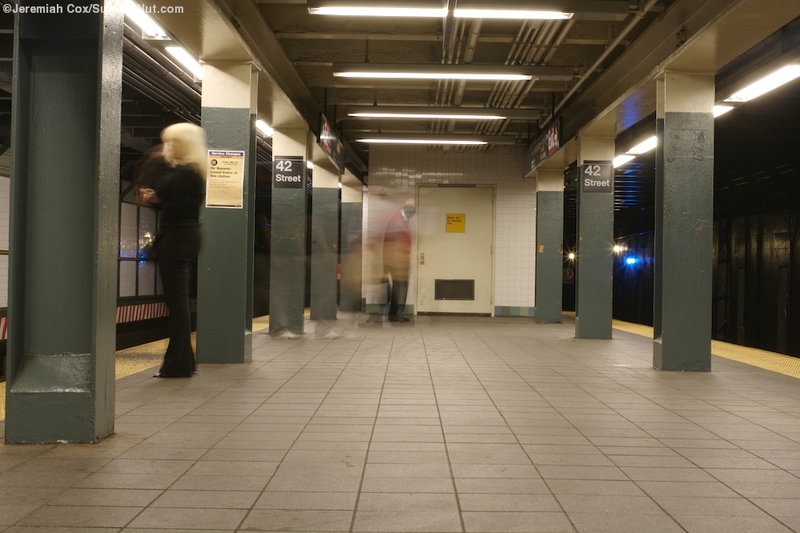 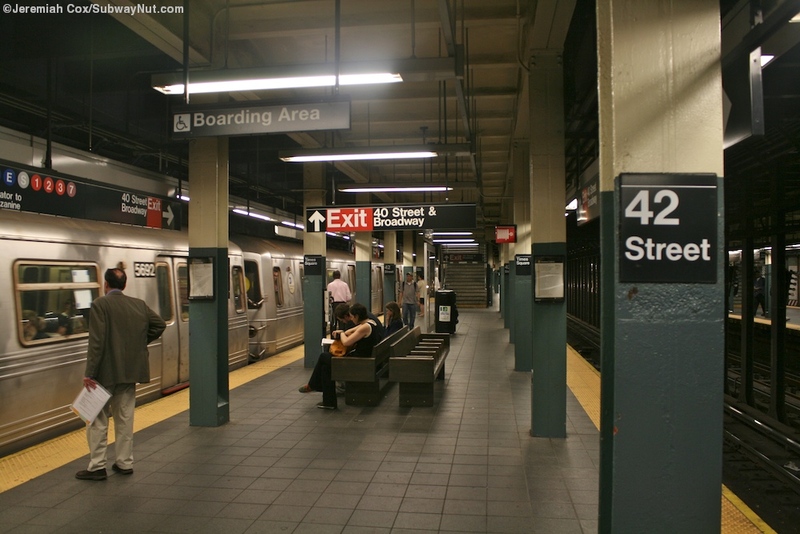 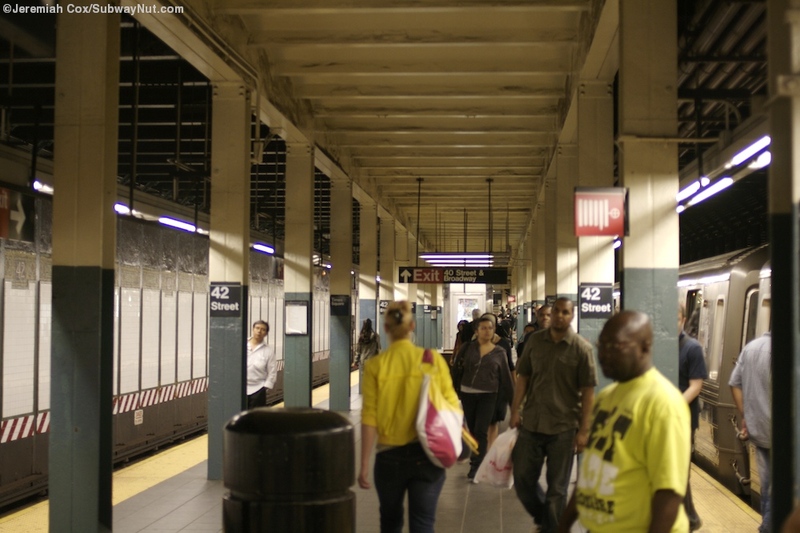 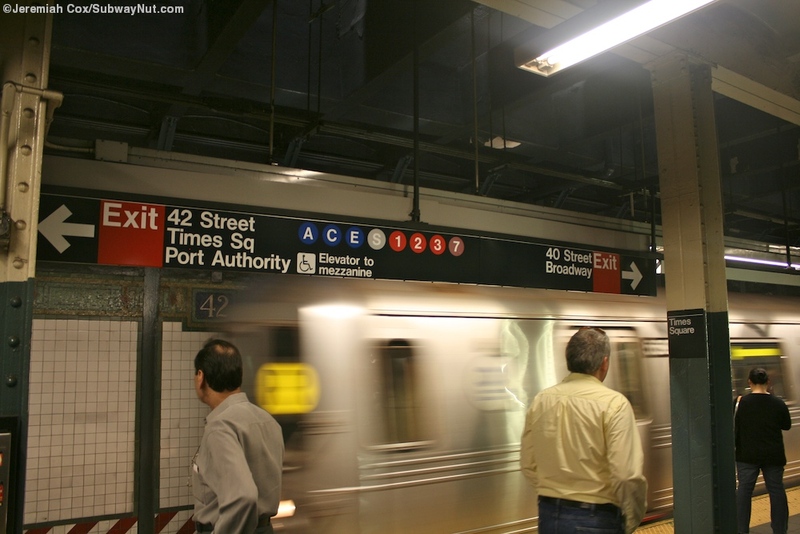 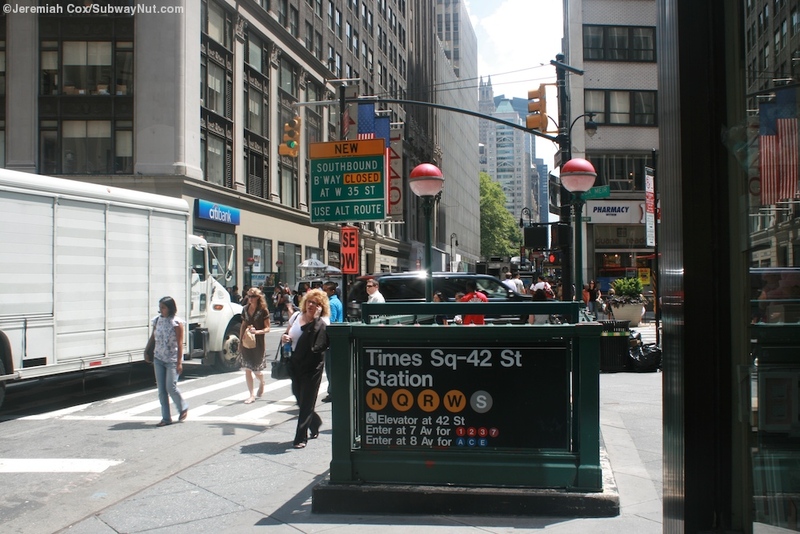 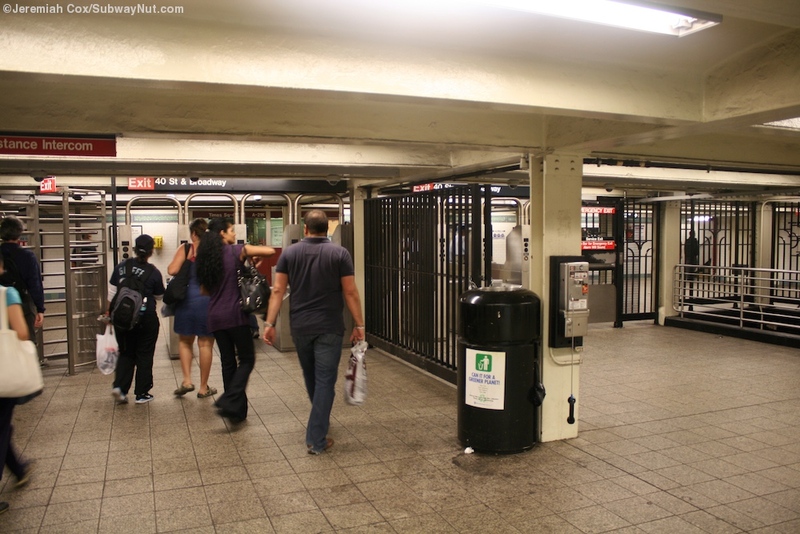 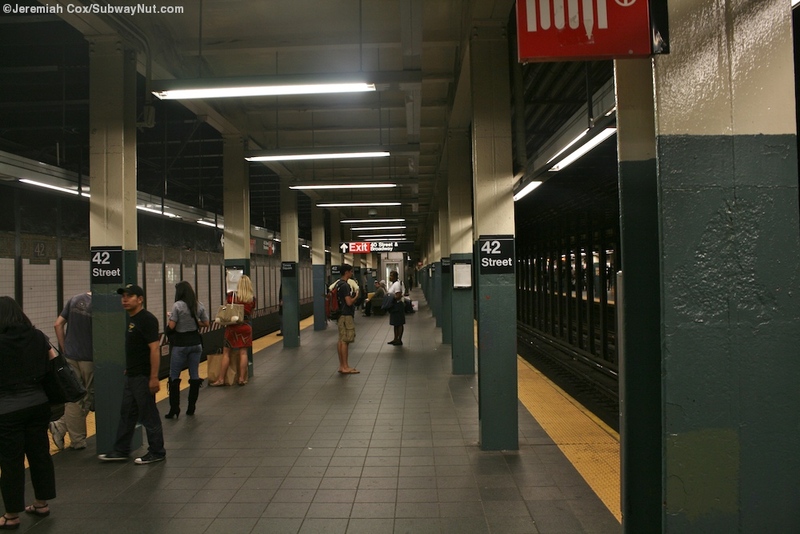 The N,Q,R BMT Broadway Line at Times Square-42 Street has two island platforms for its four tracks. 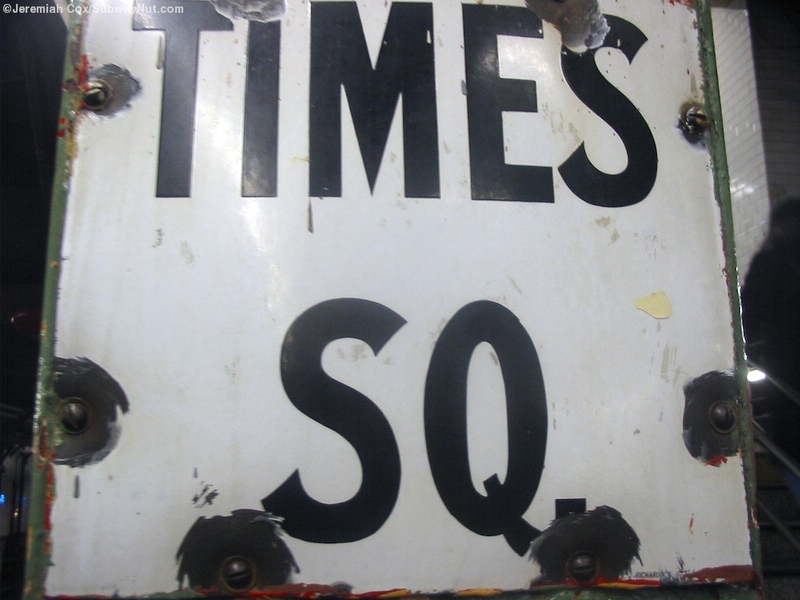 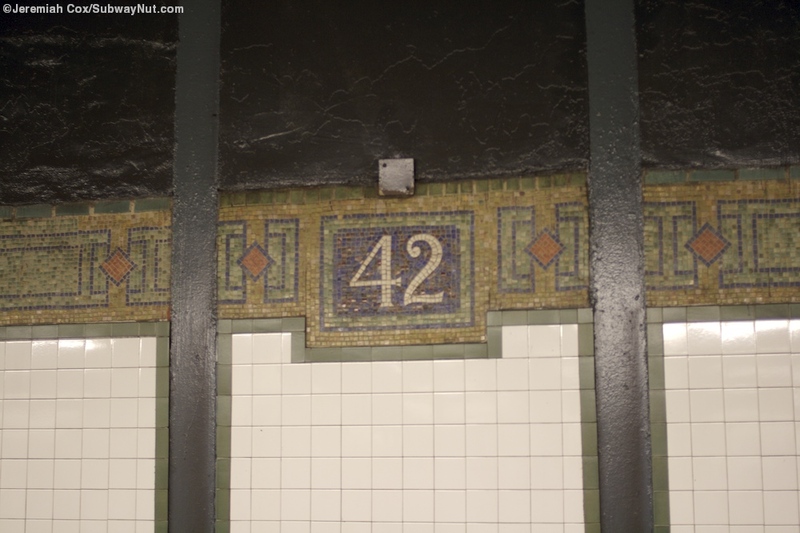 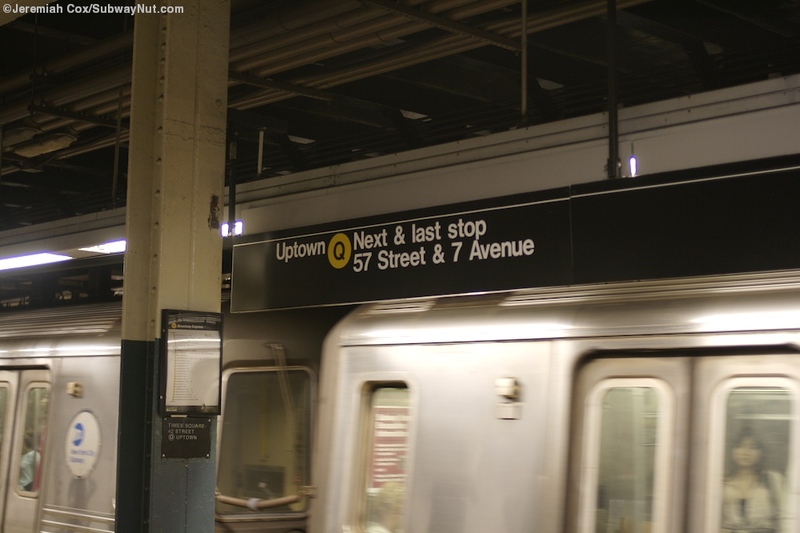 These each are lined with columns painted teal up to the column name signs (that alternate between 42 Street and Times Square) and cream above them before the station ceiling whose height varies depending upon if there is and at what level the mezzanine area is above. 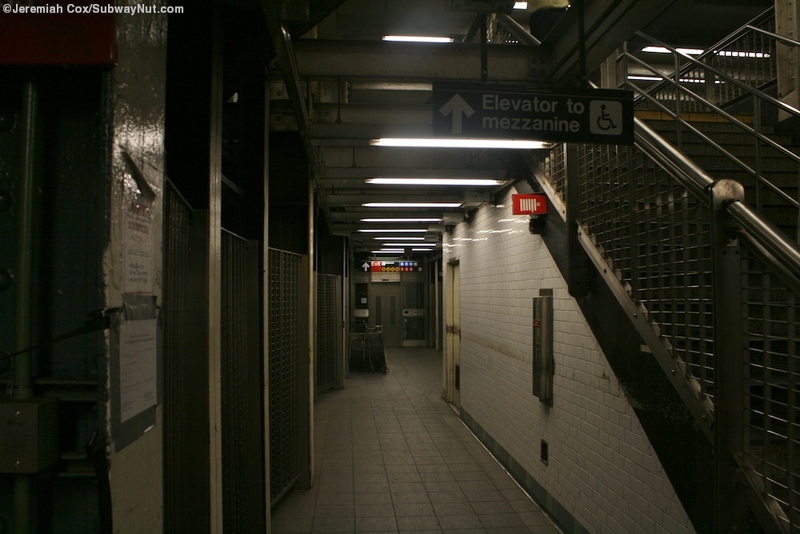 For access at the northern end of the platforms beneath 42 Street is the main BMT lobby area in the major transfer mezzanine above here an elevator leads down to each platform at its extreme northern end, with meshed off passageways along the tracks since no trains stop here, along with two staircases down to each from intermediate landing passageways that provide views directly down to these tracks. 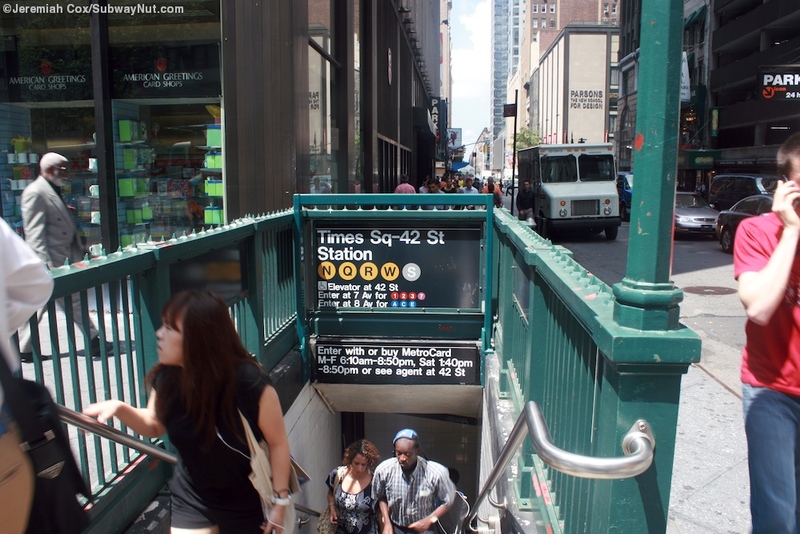 Next at the middle of the Downtown platform only there is an unusual staircase where two sets of stairs lead up to an intermediate level before curving ninety degrees and becoming one staircase up to the mezzanine beneath 41 Street. 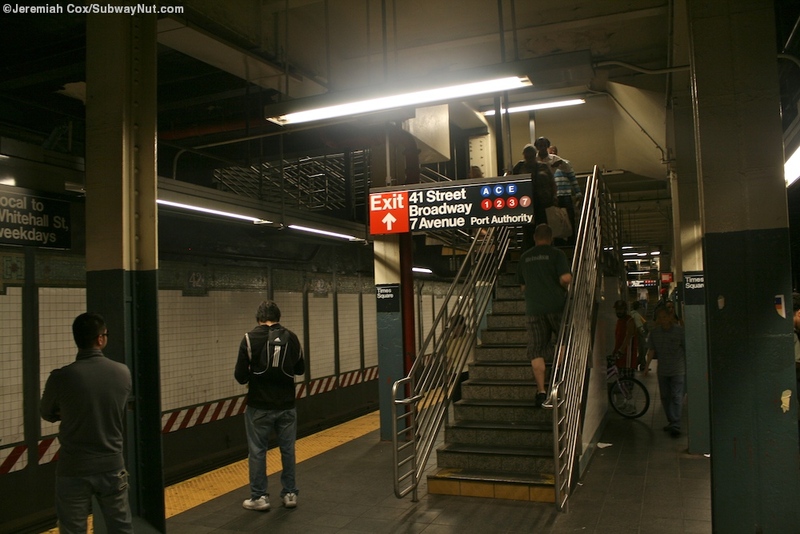 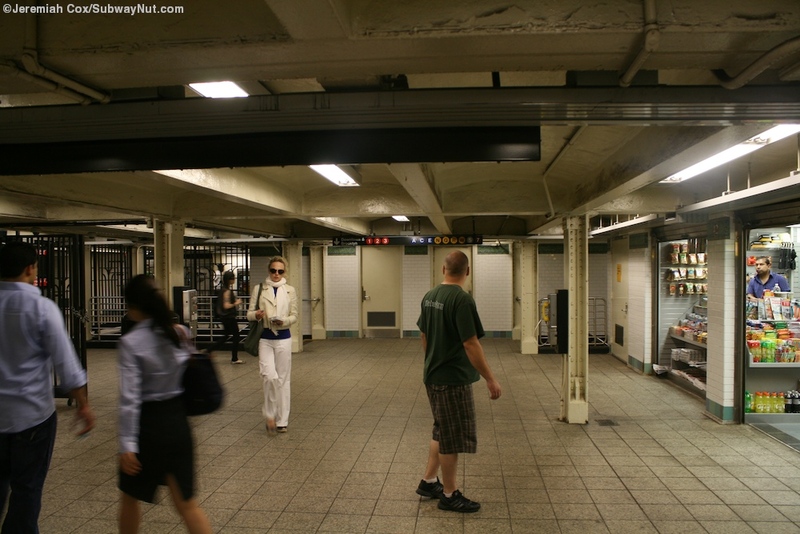 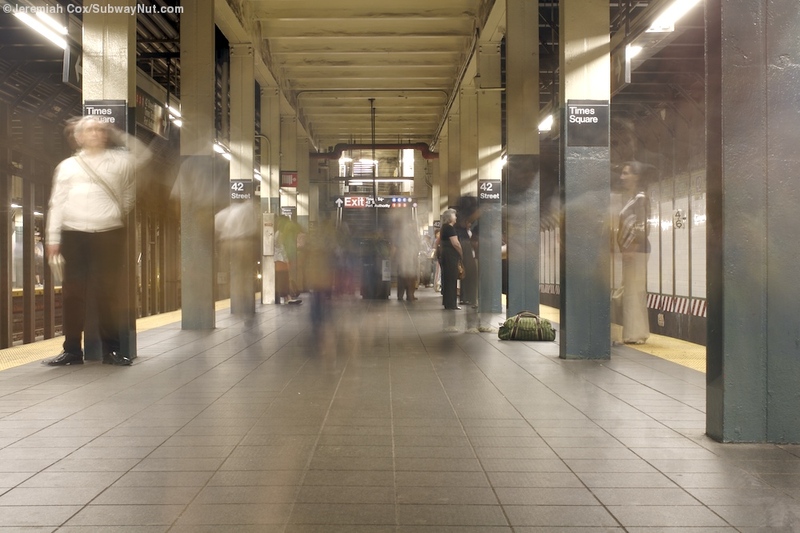 Towards the southern end of the platforms each has two staircases up to a small and separate mezzanine area where there is a free crossover and turnstiles lead out to four street stairs, one at each corner of 40 Street and Broadway.